There are plenty of questions that come to mind before purchasing a new fifth wheel. How much space do you need? What sort of amenities are you going to expect as part of your unit? What will you be hauling your rig with? The list goes on when you consider what you may be looking for in a home on wheels. For those that have high expectations when on the road, the 2016 Heartland Bighorn BH 3760EL is going to be a formidable option to consider. Along with a spacy interior that makes it easy to accommodate for even larger families, this luxurious ride is going to help your hauler continue to get great mileage while on the road. And that is just where the highlights begin. With so much to offer, here’s a look at one of the best options on the market for a fifth wheel in the 2016 Heartland RV Bighorn BH 3760EL. When you’re behind the wheel for hours during the day, it’s vital that you stay comfortable as the driver. Staying comfortable will not only help you stay alert while driving, but it’ll also help to avoid any soreness that you may have once you get to your destination. Anyone who has been behind the wheel of a truck that is pulling a less-than-comfortable fifth wheel knows just how brutal all those bumps in the road can be on your back. If you have a rig that is out of control, then your hauler will be equally as bouncy while on the road. Luckily, you’ll be amazed with how smooth the ride is with the Bighorn BH 3760EL BH. With a coupling system that easily connects to your truck, you’ll have full control behind the wheel in this fifth wheel. Less worries means a more relaxed ride, which will be more enjoyable thanks to minimal bumps while on the road. Once you get to your destination, all of your passengers will enjoy the comfort that comes inside of the Heartland Bighorn. With sleeping quarters for up to 6 people, there is plenty of room with the provided bedding. Add a few more pillows to the common areas, and you may be able to sleep even more with your family. 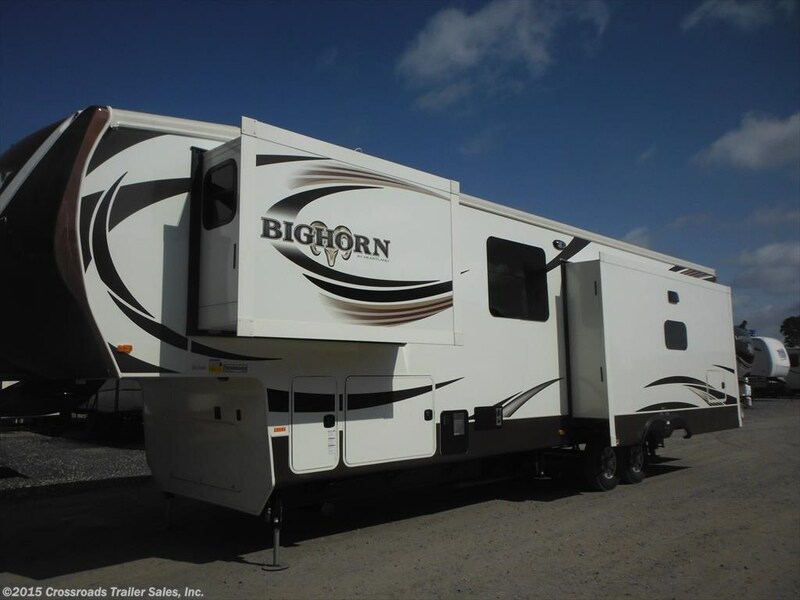 With so much comfort on wheels, everyone in your family will be happy to travel in this 2016 Heartland Bighorn BH 3760EL model. Great living won’t be sacrificed when you are hauling a 2016 Heartland Bighorn BH 3760EL Bighorn BH 3760EL. Inside and out, this rig is beautiful. You can tell the craftsmanship that went into making this rig no matter where you look. The outside is polished with a full body paint job that looks great on the road. Owners can rest easy knowing that paint will last, as well, since it’s protected with a special scratch resistant polish. No matter what sort of terrain your journey takes you on, you’ll be able to keep your rig looking great inside and out. The 2016 Heartland Bighorn BH 3760EL is also ideal due to its ability to perform with power, without draining your wallet at the pump. A light payload means that your hauler will be able to go further in-between having to fill up with more miles on the road instead. Heartland is no stranger to making fifth wheel rigs that exceed expectations on the road. The 2016 Heartland RV Bighorn BH 3760EL is no exception, and it’s an ideal option for those in the market for a new rig. Labor Day is around the corner, which means that you should probably start thinking about how you want to spend your last hurrah of summer before the kids go back to school and the weather drastically changes outside. 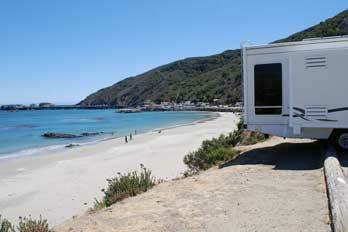 One way to make the most of your time this Labor Day is to pack up the RV and head out on a road trip. Unlike throwing a BBQ that requires you to plan, invite, cook, and clean, a trip for Labor Day is a relaxing experience that will let you soak up one of the final weekends of the summer. To make sure you get the best R&R possible, here are some of the best ways to relax on Labor Day in your RV. The great part about having an RV is that nobody is going to tell you where your destination must be. Instead, you can put a pin into your console’s GPS navigation system and then let the road be your guide as you go along. So whether it’s a beach destination where the entire family will have fun, or a big city with plenty of single people to meet with, Labor Day is your chance to set course for a destination you are sure to love. Before you set course for anywhere, make sure your rig is ready for the road. The last thing you want is to break down or have a need for spending time at a mechanic when you should instead be on the road making the most of your vacation. A quick and easy maintenance check before your trip will help you avoid any issues while on the road. You deserve to relax in your rig during your Labor Day weekend. But your idea of just lounging around may not sound as ideal for your over-active children. Therefore, be sure to have enough activities to keep everyone busy while traveling. Whether it’s plenty of books and TV shows while on the road, or outdoor toys and games once you reach your destination, having plenty of entertainment options to choose from will make for a more enjoyable trip for everyone. Finally, the biggest piece of advice any RV owner should keep in mind this Labor Day is to plan ahead. You can rest assured knowing that you aren’t going to be the only one traveling for the weekend. That means there are sure to be plenty of traffic jams and overloaded parking lots that will quickly turn your vacation into a major headache. However, you can avoid many of these headaches from occurring if you plan ahead. By leaving 15 minutes early, you can avoid that rush hour traffic you hate getting stuck in. And by calling the campgrounds before you actually get to your destination, you can also ensure they have enough room for you to park. By being diligent this Labor Day, you’ll be sure to have a great vacation. If you plan on loading up the rig with gasoline and hitting the open road, consider these tips as the best ways to relax on Labor Day in your RV. Looking to soak up the rest of summer in a way that the entire family will love? If so, then you are in luck with many of America’s most-favorite beach trips. In some cases, these beaches might be right in your backyard. And if they aren’t, you now have an excuse to pack up the RV and hit the road as a last hurrah to summer. There are a ton of different last minute beach trips to consider before summer ends, and here are some of our favorite locations. Known for some of the best NASCAR races of the season, Daytona has plenty more to offer than just cars driving around the track at speeds well over 100mph. Because Daytona is known for being a family destination, kids reign supreme with all of the fun activities to take part in. One of the most highlighted activities is the annual Sandcastle Competition that they have to end out the year. Keep your kids active and take in all that Daytona Beach has to offer in Florida. If you are looking for a quick and easy vacation to the American Northeast, then you’re entire family is sure to love the time at Ocean City. Known for having that famous TV show on MTV, the Jersey Shore is full of sunny days at the beach and nights on the boardwalk. With family fun activities for all ages, Ocean City is certainly worth the visit before summer ends. Grab your golf clubs and get ready to hit a round of 18 at Myrtle Beach. After your day on the links, throw on the bathing suit and head over to the seashore. There is typically a much younger crowd here during spring break season, but the rest of the year is more family friendly. Fort Lauderdale and Miami beaches are located within close proximity to one-another, making them both worth visiting if you are heading down south to close out your summer. Keep in mind that Miami Beach is a nonstop party throughout the year, which means younger kids may prefer the slower pace of Fort Lauderdale. But with both options to choose from so close to one-another, you’ll be sure to find something everyone enjoys in Southern Florida. On the west coast, San Diego offers countless stretches of beaches that are some of the best in the country. Add in the fact that San Diego is known for summer days full of sunshine and you can see why it’s such a hot destination for tourists. If you want to head west this summer, San Diego is a great place to set your destination for if you are looking for excellent beach conditions. Before the summer is over, soak up as many of those beach days as you can. With the options on this list, you have some perfect options to choose from for a last minute beach trip before the summer ends. 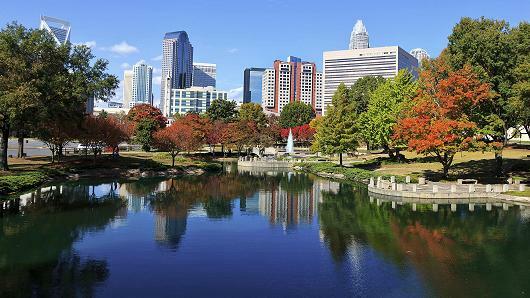 One of the most popular cities in the beautiful state of North Carolina, Charlotte is an RV owner’s paradise. Along with tons of options for loading up and settling in once you get to town, there are also plenty of activities that the entire family will enjoy while you are here. Here is a city highlight on one of our favorite cities, and what it’s like when RVing near Charlotte, NC. Those that are coming to town for an extended period of time will want to ensure that they have a safe place to store their rig. The locations here in Charlotte are ideal for travelers of all types. Families will love a park like Camp Wilderness Resort, which has a ton of different activities on site. They also offer accommodations for flushing your rig of old wastewater and trash. Or if you prefer a bit more relaxing of an environment, then you may instead want to head over to Elmore RV Park on Tryon St. Tailored towards a more calm and quiet crowd, Elmore is ranked as one of the top options for RV parks in the entire state. Ver-El RV Park also ranks highly on the list if you find yourself near Sandusky Blvd. This park is actually outside of Charlotte, in Concord, but it’s still a quick drive if you’ve hauled your car along with you. No matter what your appetite is craving, you’ll be able to find it in Charlotte. One of the most unique restaurants in town is The Cowfish Sushi Burger Bar. That is so many different types of food thrown into one cool name, so it’s understandable if you don’t know what to expect when you first visit their location on Sharon Road. But once you walk in, you’ll see just why this sushi bar and burger joint is one of the most vibrant places in all of town. Families looking for something in a hurry should be sure to stop by Price’s Chicken Coop. They only take cash and it’s a take-out counter style shop. Their chicken is some of the best in the south, and so Price’s is well worth visiting while you’re in town. After the kids have had their fun, then it’s time for you to get away for a special night for two. Charlotte has tons of different date places that are perfect for a night away. While RVing in Charlotte, you’ll want to do a lot with the rest of the family. But when the time is right, sneak away to either Art Angle or Small-Town Splendor, two top-ranked date spots in town. Charlotte is a beautiful city that should be on your bucket list of destinations. So when you bring the rig to town, keep these tips in mind while RVing in Charlotte, NC.